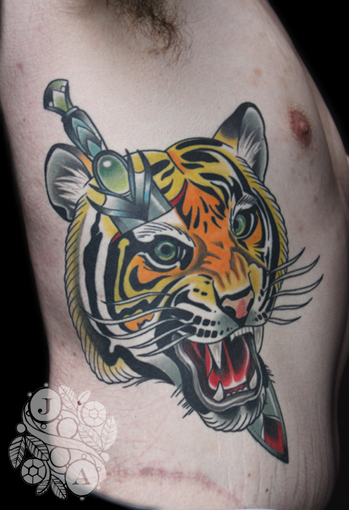 Its always great to see your tattoos healed and recapture the glory of them after not seeing them in the flesh for periods.The tiger was done earlier this year and the wolf was recently completed.Theres some distortion on the knife and head on the wolf piece due to photo angles and stretching in the poses. Ill def post some healed shots of the wolf at some stage. Quite enjoyed my time spent with my client creating these cool pieces. I must add that my client was very brave toughing each piece out like a champion. 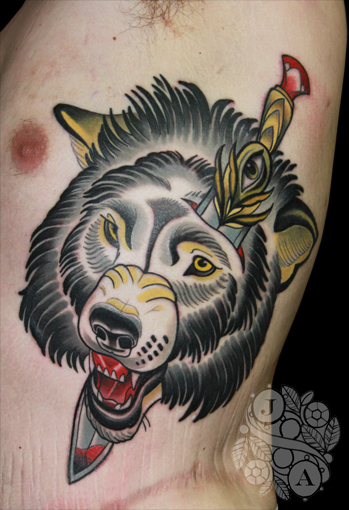 Looking forward to doing more revisted iconic but modernized tattoo designs.